Why are carbon taxes so low? The recent announcement by Canada’s Minister of the Environment, Catherine McKenna, that there will be a national carbon price by the end of the year, is extremely welcome news. As someone who has spent a great deal of time trying to articulate to the public the basic rationale for carbon pricing (here, here, here and here), this is about as close to a “win” as anyone could reasonably expect. Let’s hope it happens. With the way that the NDP convention played out last weekend, it looks like we’re going to be hearing a lot more about the Leap Manifesto over the course of the next year or two. So in the spirit of discussion, I thought I’d throw in my two bits. Toronto Sun columnist Lorrie Goldstein has something of a fixation on carbon pricing. He never misses an opportunity to condemn the idea. Even when there is nothing really going on with the climate change file, he will pump out a column complaining about the “hysteria” or the “myths” surrounding global warming. 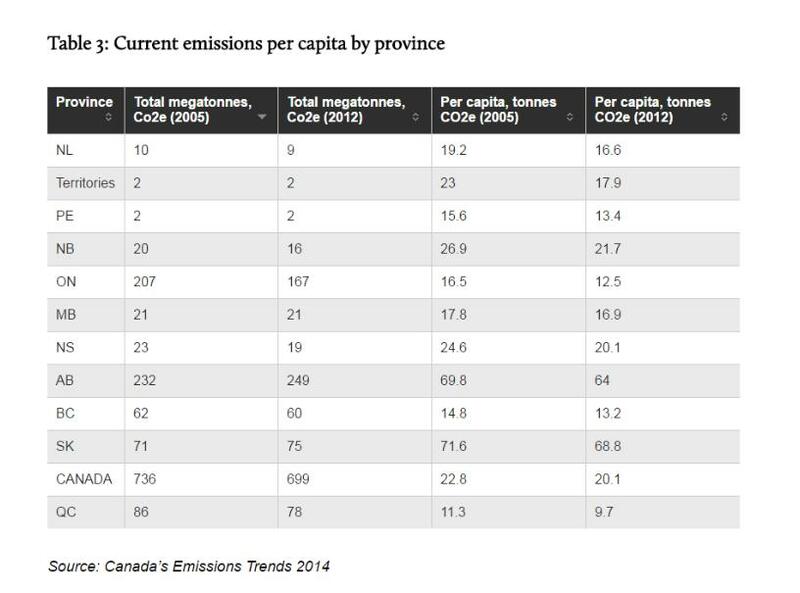 Number one myth is the idea that carbon pricing can be an effective policy response. His reasoning is fairly simple: carbon taxes don’t work, and since they don’t work, they must be nothing other than a cash-grab by the government. …or at least not the way I do. Listening to Saskatchewan Premier Brad Wall talk about climate change the other day, I was reminded of a piece that I wrote for Policy Options a long time ago, about the difference between being pro-market and being pro-business. I still find it very helpful, when listening to conservative politicians, to classify their views using this distinction. Wall’s position on carbon pricing, for instance, is a perfect example of a conservative politician being pro-business, rather than pro-market. Those who are pro-market are enthusiastic about capitalism because they understand the virtues of the price system. They know that a properly structured competitive market is the most effective institutional arrangement for ensuring that resources and labour flow to their most productive employment. The key to their endorsement, however, lies not in the magic word “market,” but rather in the qualifications that precede it. and finally the syllabus for my course on climate change policy (for those who are interested in what I do consider to be worth reading). That’s the upshot of my op-ed in the New York Times today. For those who are wondering, these things are really hard to write — you have to cram so much into such a tiny space, there really is no room for nuance. The Times asked for 1000 words, I delivered 1250, they wound up having space for 850, so 400 words had to go! Externalities arise not because of separation of ownership, but because of separation of decision-making units (p. 74).